GAIN Capital Holdings, Inc., a global provider of online trading services specialising in foreign exchange (forex or FX) and contracts for difference (CFDs), today announced the launch of an enhanced version of its iPhone trading application. The new version of the app is now available to FOREX.com clients worldwide in three languages: English, Japanese, and Russian. The free application offers full trading capabilities, along with up to the minute news, charts, research and account information. The FOREXTrader for iPhone application complements FOREX.com’s mobile website, which is enhanced for the latest generation of smartphones such as the Google Android, Palm Pre, and iPhone and is compatible with all major browsers. The mobile site provides visitors with quotes, charts, news and research and an extensive learning section featuring articles, video tutorials and more. It also offers secure account access for customers and registered practice account users to trade and manage their account. To download the free application, iPhone and iPod touch users can now visit the App Store directly from their devices and search for “FOREXTrader” or “FOREX.com”. (1) CFDs are not available to residents of the United States or Japan. A pioneer in online forex trading, GAIN Capital provides execution, clearing, custody and technology products and services to an institutional client base including asset managers, broker/dealers and other financial services firms. 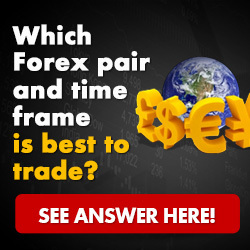 GAIN also operates FOREX.com, one of the largest and best-known brands in the retail forex industry. With offices in New York City; Bedminster, New Jersey; London; Sydney; Hong Kong; Tokyo and Seoul, GAIN Capital and its affiliates are regulated by the Commodity Futures Trading Commission (CFTC) in the United States, the Financial Services Authority (FSA) in the United Kingdom, the Financial Services Authority (FSA) in Japan, the Securities and Futures Commission (SFC) in Hong Kong, and the Australian Securities and Investments Commission (ASIC) in Australia. GAIN’s investor group includes private equity firms 3i, VantagePoint Venture Partners, Tudor Ventures, Edison Venture Fund and Cross Atlantic Capital Partners. For company information, visit www.gaincapital.com or www.forex.com. * Includes customer trades, rollovers and counterparty transactions. All trade names are the property of their respective owners.